Mendham Township's rolling hillsides and wooded terrain make it one of Morris County's most picturesque municipalities. Many farms and estates still dot the landscape. Although the Township has experienced rapid development recently, zoning practices and selective development have preserved the municipality's rural character. 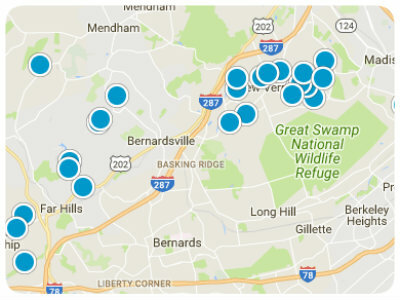 At present Mendham Township has a population of 4,537 concentrated mainly in two centers: Brookside and Ralston. Brookside is the seat of municipal government. Colonial homes, many predating the Revolution, cluster beside Main Street. Ralston was the site of early industrial development and is on the Morris County Historic Sites list. Mendham Township is continuing its efforts to preserve the historic rural character of the township. 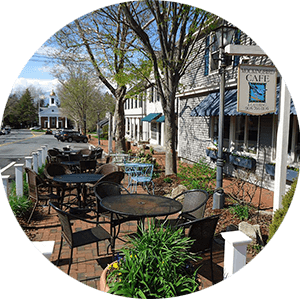 Mendham is generally characterized as an upper income residential community. 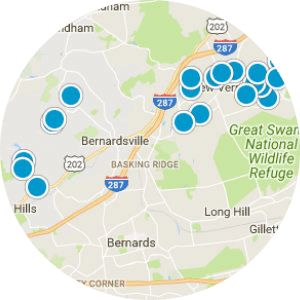 Check out Mendham's market statistics HERE! Shopping and Dining – The Township is completely residential with the exception of one restaurant, with The Borough being home to all of the shops, stores restaurants and other businesses in the area. In the center of the Borough lies an historic village business district with many of the original structures still standing and in use. Charming and quaint are just a few words to describe this part of the Borough, which includes a plethora of shops, restaurants and services ranging from a drug store, deli, a gourmet Italian food specialty store (La Famiglia), jewelry store, antique shop, cycling store, hair and nail salons, a spa, gardening center, bank and more. Other points of interest include the Village Shopping Center serving residents of both the Borough and the Township. Truly a one-stop location for your everyday needs such as a King’s super market, liquor store, florist, dry cleaner, book store, florist, several restaurants, banks, jewelry store, gift shop and plenty more. Parks and Recreation – Along with the many parks in Mendham is Brookside Beach which is a fantastic way to enjoy a summer filled with special events and family activities for all ages. Brookside Beach offers a sandy beach for family recreation which includes a snack stand that sells hot/cold food/drinks/desserts, a new sound system so patrons can enjoy music, a separate lap and swim team areas, a picnic area, volleyball, tetherball, and horse shoes. There is also a first rate health club located just behind the Village Shopping Center called the Mendham Health and Racquet Club. 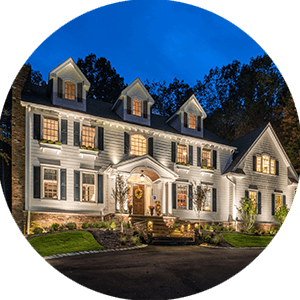 Living – Both the Borough and the Township offer a broad variety of homes, from antique colonials, grand Victorians, luxurious contemporaries to sprawling gracious estate homes and farms. The local landscape includes streams, parkland, tall oaks and rolling hills which are all reminiscent of a classic Norman Rockwell painting. Despite the present-day transformation from a rural farming community to one of New Jersey’s more affluent residential suburbs, both Mendham Township and The Borough retains its early character through carefully preserved homes, farm buildings, and villages. These are living remnants of Mendham’s past when people worked where they lived in a natural setting, away from the factories and mills of the big city, pursuing economic independence and the American dream. Schools, Health, Transportation – The Borough has an excellent public elementary school system, Mendham Township School District. Secondary school students attend West Morris Mendham High School. In addition, many fine private schools are available within the region. The school was the 45th-ranked public high school in New Jersey out of 328 schools statewide in New Jersey Monthly magazine's September 2012 cover story on the state's "Top Public High Schools", after being ranked 26th in 2010 out of 322 schools listed.